Early last winter I became addicted to the Rick and Morty cartoon series, it was crazy, wacky, a lil sick, weird and actually had a lot of heart in it, in one day I had watched every episode, it was all just too good. This ridiculously brilliant series follows the adventures, or maybe misadventure’s, of alcoholic genius Rick and his less than brilliant grandson Morty. They split their life between the hum drum normal and far out adventures through all time and space. Series Creator Justin Roiland voices the series’ titular characters, but the series also stars the voice talent of Chris Parnell, Spencer Grammer, and Sarah Chalke. 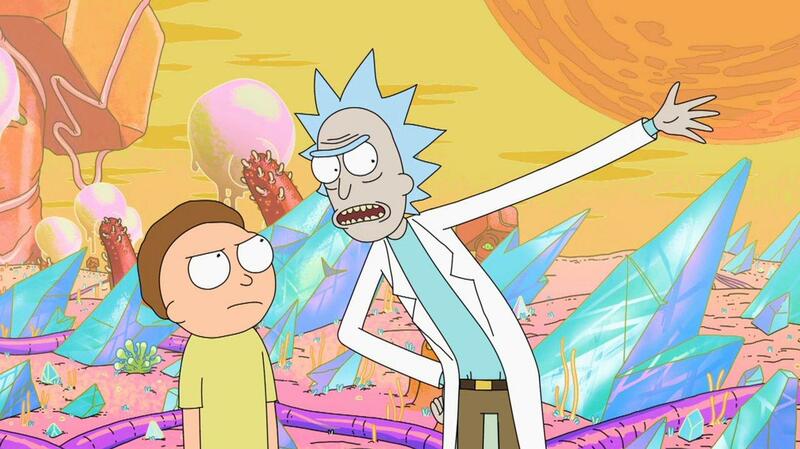 Throughout season one’s run we see Rick and Morty travel to other worlds, down to microscopic size and even going into business against the Devil (played by the excellent Alfred Molina), the show goes any where and there are very few lines it wont cross for a joke, so yes it may offend you but trust me it’s funny. Sadly the second season has yet to be made, luckily Oni press have created a comic book that encapsulates everything the original series had. The first comic follows our titular characters rags to riches story, it has plenty of comedy and reads exactly like how the series characters speak, writer Zac Gorman has really out done himself. for any fans of the show this is a must read. 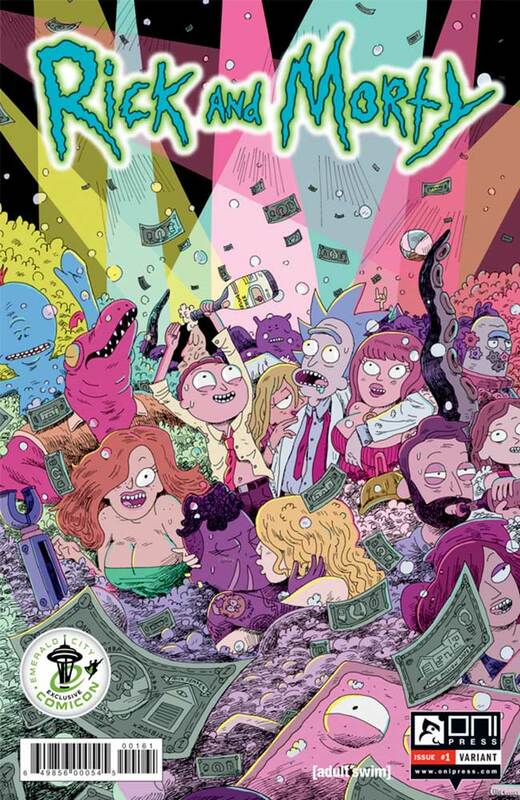 If you are attending Emerald City Comic Con 2015, make sure you drop by the Oni Press booth #212 and grab your own copy of the exclusive cover by writer Zac Gorman, which is also an exclusive to Emerald City Comic Con 2015. Emerald City Comic Con is the premier comic book and pop culture convention in the pacific northwest. Check out the site to find the latest on everything ECCC, including lists of guests, exhibitors, artists, schedules, gaming and events. Tickets for Emerald City Comic Con 2015 have SOLD OUT.